When it comes to weight loss, there is no simple one-size-fits-all answer. Of course you wouldn’t know it to look at the vast range of weight-loss products, programs, books, diets and strategies advertised everywhere, promising easy, effective, long-term results. The truth is, most people who undertake a diet or weight loss program will gain the weight back. Yo-yo dieting in particular is dangerous and can make you more unhealthy than you were before the diet. Diet pills, appetite suppressants, extreme diets, or diets not based on real foods generally don’t work for the long-term, and can actually be harmful in some circumstances. With excess weight comes a host of related medical conditions including heart disease, high blood pressure, high cholesterol, diabetes, and gall bladder disease. Being overweight can also affect your quality of life. Extra pounds can make you more tired and limit your daily activities. It can contribute to poor self-esteem and depression and can lead to arthritis, sleep problems, and digestive issues. Being overweight can aggravate menopausal symptoms and contribute to infertility. When it comes to losing weight, we feel it’s important to not only lose weight but also to learn healthy habits and strategies for keeping the weight off for the long-term. We recognize that excess weight can often be the root cause of many diseases, and we also recognize that for some people there are many challenges in figuring out how to lose weight. 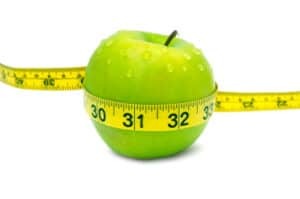 In working with patients who want to lose weight, we take all these factors and more into account. What is critical in successful weight loss is determining each individual patient’s personal challenges and obstacles, and then addressing these with a personalized, comprehensive approach. “One-size-fits-all” rarely works when it comes to something as challenging as losing weight! We seek to understand what biochemical imbalances may be present in your body that make losing weight difficult. We look for lifestyle patterns, emotional challenges, and other factors contributing to your situation. We love to educate–much of the conventional wisdom about what to eat and how to exercise is actually outdated and may in fact be making things worse! Empowering and educating so you know how to make real healthy choices is key. By working with patients on a comprehensive naturopathic program, by addressing their whole system and restoring balance to them as a whole person, many times the body is able to lose unwanted weight without any specific “diet” or “weight loss program” necessary. Obesity and weight gain are not a disease, but are rather a symptom of an overall lack of health and balance.